A powder-soft beach for a doorstep, loads of activities and a top pool scene is part of the deal at the Holiday Village Montenegro. 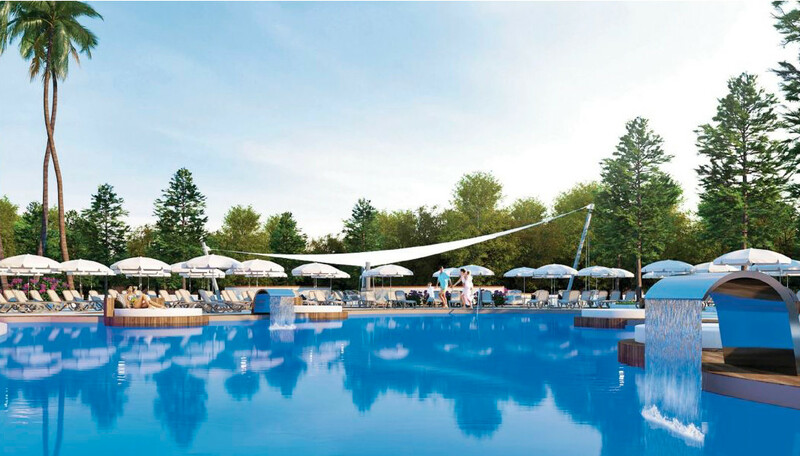 Perfect family holiday village This hotel opened its doors in 2018, offering up brand-spanking new family swim-up rooms. Now, it's getting an upgrade ready for summer 2019, which is going to add a whole new pool area and some swanky deluxe rooms. Plus, it boasts all the Holiday Village hallmarks, including a high-rope course and a football academy for youngsters. You don't have to worry about fussy eaters here, either – all the restaurants come with kids' menus.